A photo that I captured of an Apollo’s Ring Sunflower in my back yard after a day of rain storms. 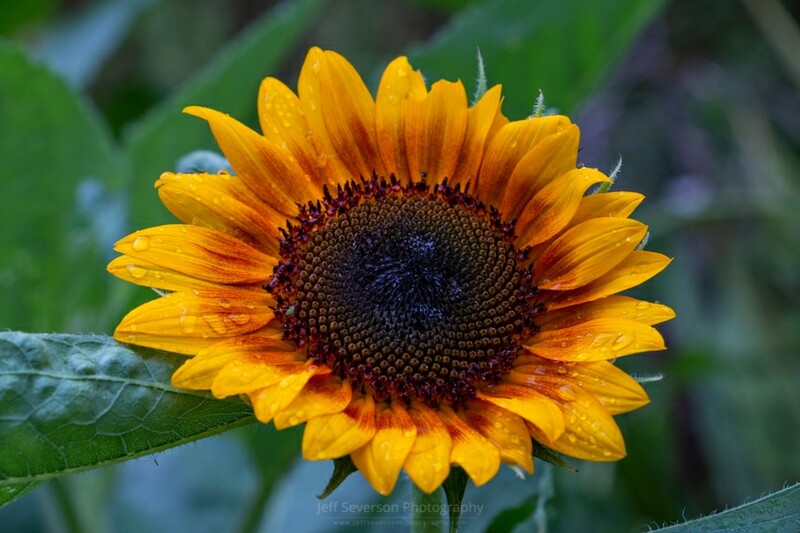 This particular sunflower usually grows to 5 or 6 feet and typically has a flower spread of 12-18 inches. This photograph was taken on August 11, 2018 with a Canon EOS 70D at 72mm and 1/15 second exposure.